Nike Inc. uses its promotional mix or marketing communications mix to communicate with target customers in the global athletic footwear, apparel, and equipment industry. A company uses marketing communications to promote its business and products, considering the dynamics of its target markets. The marketing communications mix is also called promotion, which corresponds to the promotion component of the marketing mix or 4Ps (see Nike Inc.’s Marketing Mix or 4P). The company is a good example of a business that uses different kinds of communication in its promotion activities. The firm’s marketing communications mix is easily observable in the market, in the form of advertisements and other activities. The company’s success puts emphasis on the benefits of effective marketing communications. In this regard, other firms can learn possible best practices in promotions from this business case. Nike’s marketing communications mix is effective because of the balance it creates between attracting new customers and keeping existing customers. In developing and maintaining its marketing communications mix, Nike Inc. applies a strategic combination of advertising, personal selling, direct marketing, sales promotions, and public relations. This combination allows the company to effectively promote its products and strengthen its brand image. Brand image is one of the major business strengths and contributors to the company’s long-term success, as shown in the SWOT Analysis of Nike Inc. In advertising, Nike Inc.’s goal is to reach large populations of target customers with the biggest possible impact. Successful advertisements promote the brand to customers. These advertisements also improve consumers’ perception about the company and its products. Even though advertising is an effective marketing communications tactic, it is typically costly, especially when involving traditional media like television, radio and print. Still, through successful implementation, Nike reaps the rewards of a stronger brand image and higher demand for its products. Thus, despite the high cost of advertising, the company achieves net benefits in its financial performance. Nike Inc. uses celebrities to represent the ideal customer or consumer of its products. The company’s advertisements present highly popular personalities, such as professional athletes. Target customers see that their favorite celebrities use Nike’s products. As a result, these customers become motivated to purchase and use these products. Through celebrity figures in advertising, the company’s marketing communications mix effectively promotes products to customers by motivating them to mimic how these celebrities prefer the Nike brand. Nike’s personal selling efforts typically happen in stores. Store personnel are trained to provide assistance to customers. These personnel are expected to know more about the company’s products, and to persuade consumers to buy these products. 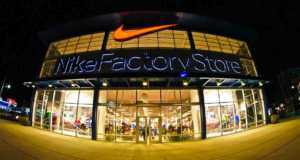 In some cases, sales personnel promote the company through personalized services that help in finding the right Nike product. Personal selling facilitates the purchasing process and, thus, contributes to the company’s profitability. Personal selling contributes to positive customer experience. Customer experience is enhanced because of trained assistance and persuasion from sales personnel. Customers feel empowered in making informed buying decisions. This tactic helps make customers feel good about the products they buy from the company. Thus, Nike’s marketing communications mix uses personal selling to create better customer experience and customer relations, while promoting the company’s products. Nike Inc. uses direct marketing to promote new products to target markets. These new products are usually heavily advertised. However, to make a bigger impact, the company uses salespeople to approach certain organizations or individuals in target market segments. For example, the company approaches and promotes its products to sports organizations in colleges and universities. Nike’s marketing communications mix uses direct marketing to establish stronger relations with target customers and motivate them to purchase the company’s products. Direct marketing contributes to Nike’s competitiveness through customer loyalty. For example, in directly communicating with target organizations, schools, colleges, and universities, the company develops loyalty among target consumers, who become more frequently exposed to the Nike brand. This condition helps improve the company’s competitiveness and address the strong force of competition determined in the Porter’s Five Forces analysis of Nike Inc. This means that strategic approaches to promotion are directly linked to the development of the company’s competitive advantages. Nike’s sales promotions are usually in the form of special offers given to target customers. The company uses sales promotions to motivate new customers by giving additional benefits, such as the savings they can make by purchasing when discounts or special offers are applied. Sales promotions in Nike’s marketing communications mix drive demand from new customers by motivating them to purchase the company’s products on the basis of these perceived benefits. Nike Inc. uses public relations in marketing communications. In this business case, the company implements public relations as a way of addressing social issues linked to its business. For example, the company experiences social pressure regarding the use of sweatshops, as well as pressure to improve green technology integration in the business. Many of these issues are included among the considerations in developing Nike Inc.’s corporate social responsibility strategy and stakeholder management approaches. This condition shows that the company also uses public relations to deliver information to stakeholders regarding current and planned corporate citizenship activities to improve the business and its effect on stakeholder groups. The company applies public relations by sponsoring sports events and similar activities, and uses these activities to communicate to target customers regarding what the business does to address relevant social issues. In this regard, Nike’s promotional mix involves public relations to address social issues and to promote the brand, so that current and potential customers develop a better perception about the company and its products. Egan, J. (2015). Marketing Communications (2nd ed.). Sage Publications. Nike Inc. – Official Website. Percy, L. (2018). Strategic Integrated Marketing Communications (3rd ed.). Routledge. Trusov, M., Rutz, O. J., & Bucklin, R. E. (2017). Metrics for the New Internet Marketing Communications Mix. In Review of Marketing Research (pp. 195-212). Routledge. Vega, T. (2011). Nike Tries to Enter the Niche Sports It Has Missed. The New York Times. Yeshin, T. (2012). Integrated Marketing Communications. Routledge.